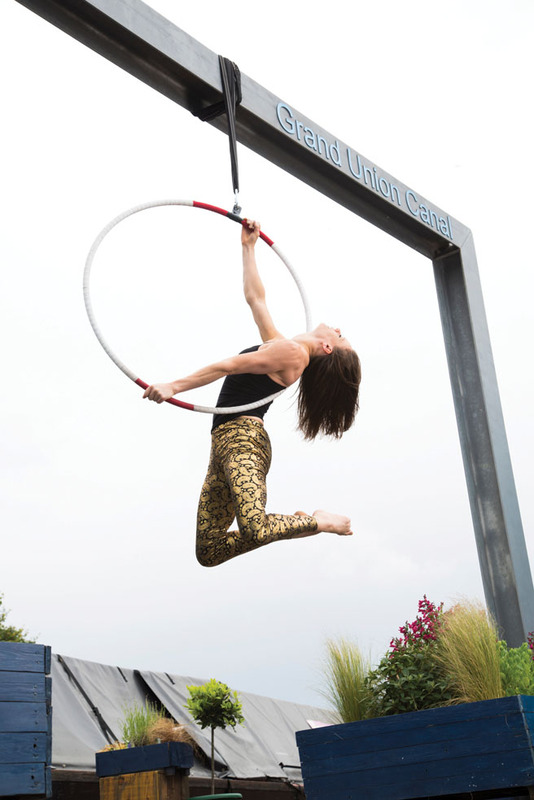 Birmingham’s ‘Super September’ comes to a finale with the Birmingham Weekender and a stunning gathering of performance, visual arts and street food alongside the opening of the city’s revamped train station and shopping mecca; Grand Central. 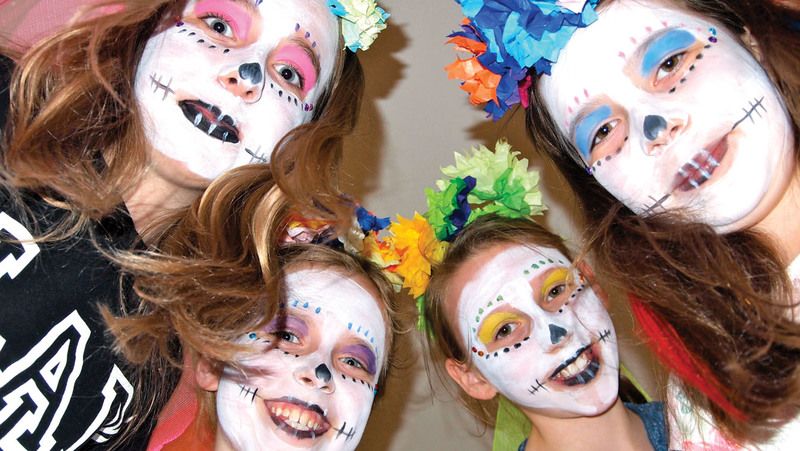 Over the weekend visitors will get to experience a whole host of exciting events for free including the Birmingham debut of a large-scale outdoor spectacle and the city’s very own family-friendly Day of the Dead fiesta. Here’s our pic of must-see events taking place over the weekend. Presented by Birmingham Hippodrome, Maudits Sonnants is an exhilarating, adrenaline-inducing, awe-inspiring production featuring actors, trapeze artists, acrobats, bell ringers, dancers, percussionists, singers, string quartets, welders, technicians and forgers with bewitching performances played against the night sky. The French company have constructed a lotus like metallic structure of 17 meters diameter manipulated by a telescopic crane. It is lifted high into the air carrying with it musicians and trapeze artists. As it slowly spins the sound of bells will ring out across the city. Vibrant colour sweeps through Centenary Square as families are invited to join Birmingham’s very own Day of the Dead celebration. To get chiquitas and hombres in the party mood they’ll have live music (Sunday), DJs (all weekend) tasty street food, performers and dancers. Get dressed up with your own wrestling and sugar skull masks or make a flower garland head dress and get your face-painted as you march through the streets for a fun-time fiesta. 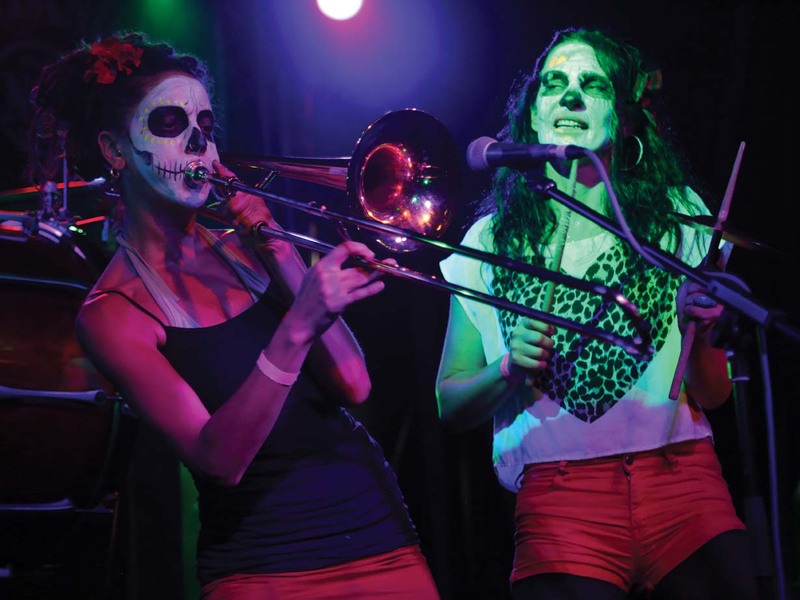 On Sunday at 5pm the event will come to a close with a ‘Día de Muertos’ Parade lead by the amazing Voodoo Love Orchestra (pictured top) – join the march through the streets of Birmingham in your newly made costumes while you shake your own customised maracas. This is your opportunity to see artists from Birmingham Royal Ballet perform the famous pas de deux from Swan Lake. Watch as two of the company’s dancers perform an extract of ballet’s greatest love story, and be swept away by the beauty of this world-famous work. 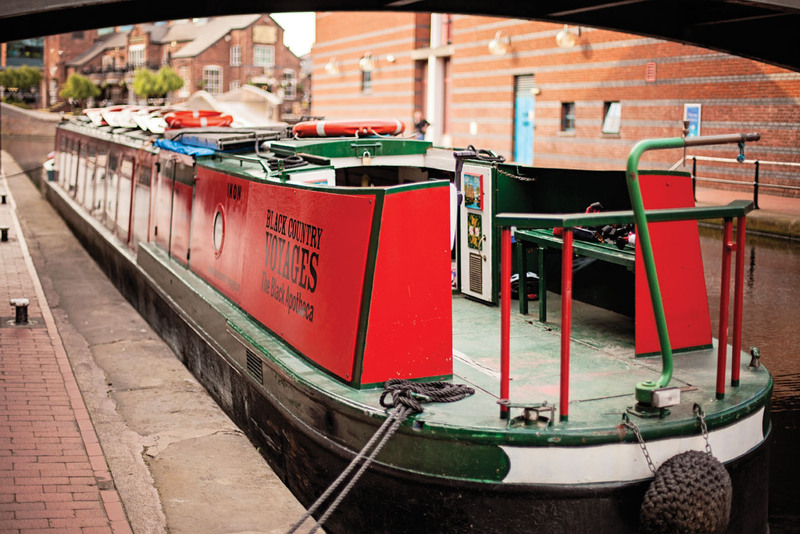 Ikon Youth Programme take over Ikon’s Black Country Voyages canal boat for Birmingham Weekender, with performances from local young people on Saturday and drop in creative workshops on Sunday. For Birmingham Weekender Birmingham Symphony Orchestra take up residency in the Mailbox and split into a selection of mini musical supergroups – from brilliant brass and pulse-pounding percussion to delightfully delicate strings. 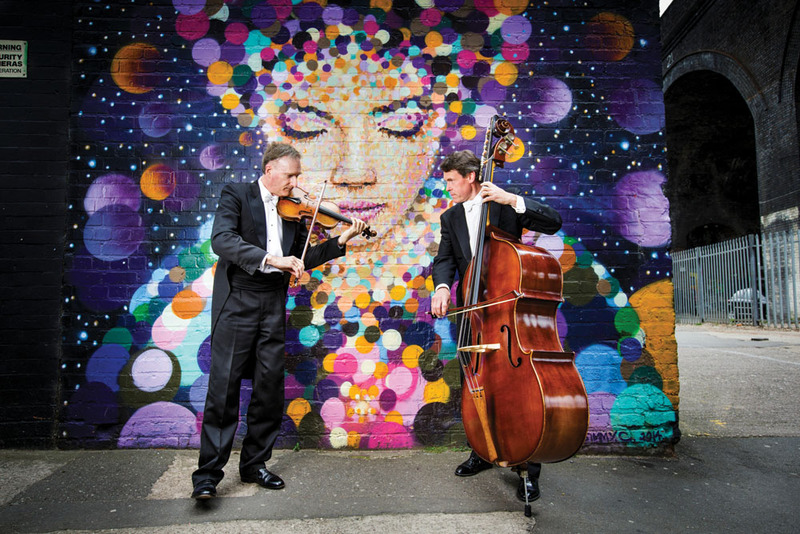 Over a dozen very different ensembles of CBSO musicians perform up close and personal, for the ultimate in musical variety, including magnificent Mozart and blockbuster movie tunes. Witness the joys and perils of shopping through circus and acrobatics with an uplifting soundtrack. 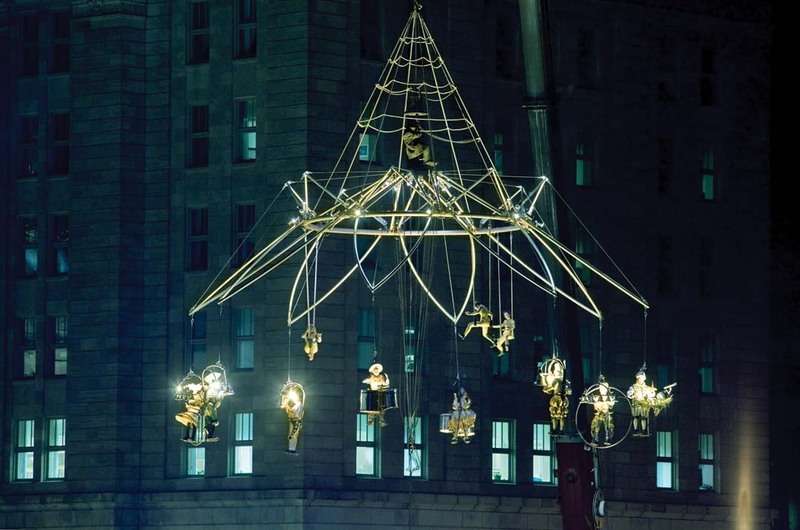 With worn-out aerial mothers laden with shopping bags, acrobatic couples dressing for dinner and young people playing in shopping trolleys, this show has it all. Accompanied by an uplifting soundtrack and followed by participatory workshops for adults and children alike. This entry was posted in Art, Birmingham, Live Music, Performance and tagged Art, Birmingham Royal Ballet, Birmingham Weekender, Black Country Voyages, City of Birmingham Symphony Orchestra, Mucho Brumcha, Transe Express: Maudits Sonnants, Voodoo Love Orchestra. Bookmark the permalink.